I’m so excited to announce that the Apparel Manufacturing Boot Camp was featured on the most recent American Fashion Podcast. Interviewed by Charles Beckwith, I’m flattered to share space with such luminaries as the CFDA, Ralph Rucci, Naeem Khan, Bob Bland, Richard Spiegel, Crispin Argento, Teri Agins, Lauren Sherman, and Timo Rissanen. Maybe the American Fashion Podcast is a best kept secret? In this episode, I dish on why I started the Apparel Manufacturing Boot Camp and how it affects growth in the industry today. 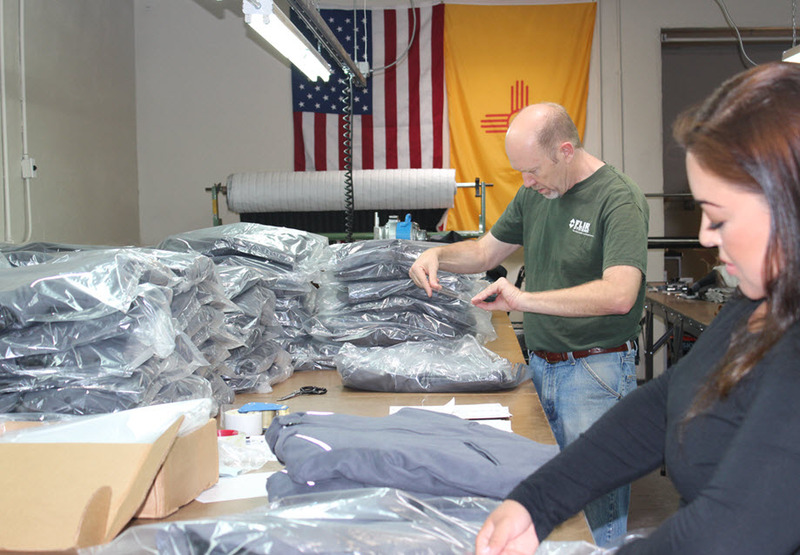 Front and back view of the coat produced at the apparel manufacturing boot camp in Albuquerque’s sewing factory. At this late date, I realize that I never posted photos of the coat delivery. Before I forget, if you’re interested in the technical end of it, to include an explanation of the quality and safety features we designed into each coat. 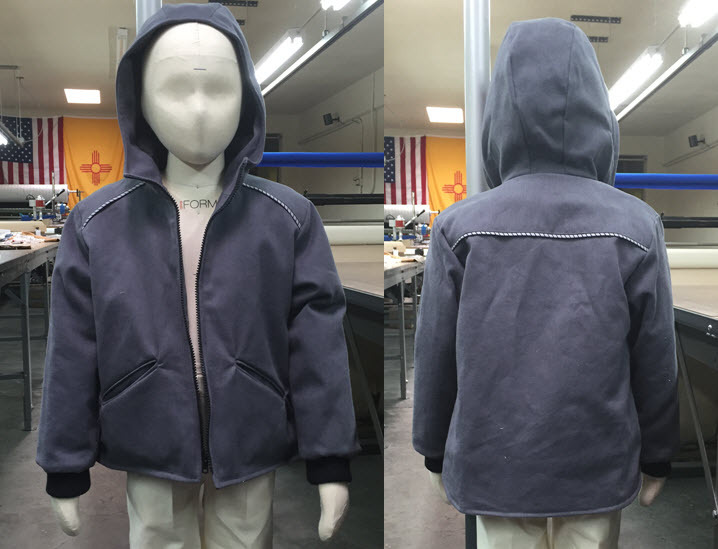 see Design of the Child’s Coat -Apparel Manufacturing Boot Camp, Fall 2015. As I was; the packaging and inventory control ended up being more work than we imagined.